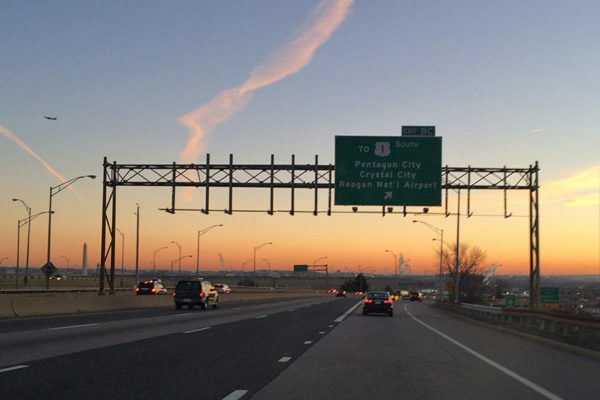 Drivers heading northbound on I-395 should expect lane closures and periodic traffic stoppages tonight near Pentagon City. The traffic impacts are due to a planned overhead sign installation. By midnight, only one northbound lane is expected to remain open, causing delays for anyone heading in the direction of D.C. Motorists are advised that I-395 North will be reduced to one lane during overnight hours on Tuesday, April 16 near S. Washington Boulevard. Periodic traffic stoppages of up to 30 minutes will occur between Midnight and 4 a.m. These closures are needed for crews to install an overhead sign structure as part of the I-395 Express Lanes Northern Extension Project. Work is weather dependent. Additional lanes will close at 11 p.m.
All lanes will reopen by 5 a.m.
As construction progresses this spring and summer, motorists should expect single lane closures on the I-395 HOV lanes weekdays between the hours of 9:30 a.m. to 2 p.m., and closures on the general purpose lanes from 9 a.m. to 3 p.m. The 395 Express Lanes, which involve extending the current express lanes eight miles north to the D.C. line, are scheduled to open this fall. Learn how Express Lanes work and how to get an E-ZPass at www.ExpressLanes.com. The 395 Express Lanes are a public-private partnership between the Virginia Department of Transportation (VDOT) and Transurban. See more details on the project and related lane closures. (Updated at 11:40 p.m.) The Virginia Department of Transportation (VDOT) says it intends to replace deteriorating sound walls along I-66 in Arlington. The sound wall replacement is part of the larger project to expand the highway, a spokeswoman told ARLnow Thursday. 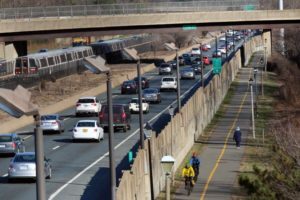 Communities affected by widening of I-66 eastbound between Exist 67 and 71 were mailed ballots in February to vote on the sound walls, according to VDOT’s website on the project. More than 50 percent of the respondents were needed to approve the sound walls. 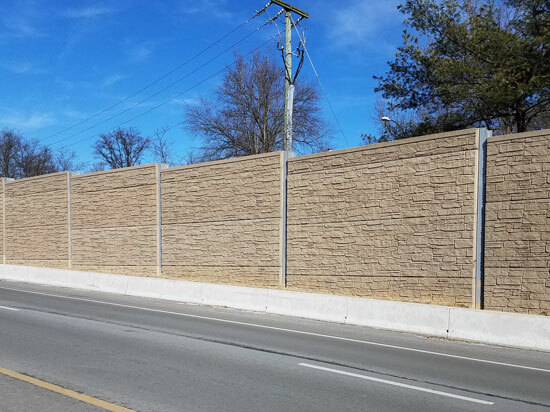 Construction of the noise walls is expected to start this summer and continue until next fall, according to a presentation for neighborhoods. 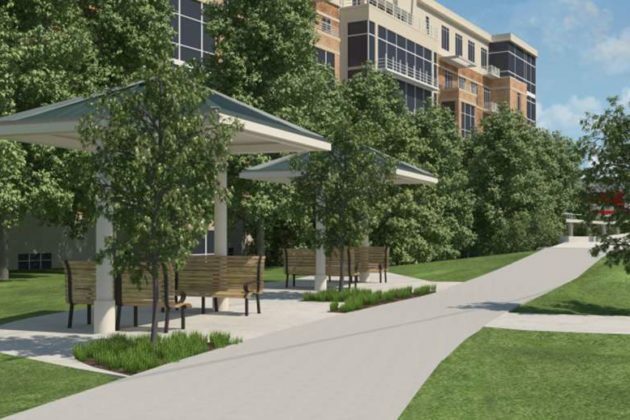 The County Board approved the sound walls in February, including a plan to build a connection from Custis Trail onto the N. Harrison Street bridge in Bluemont after officials acknowledged sound walls would block off the trail. 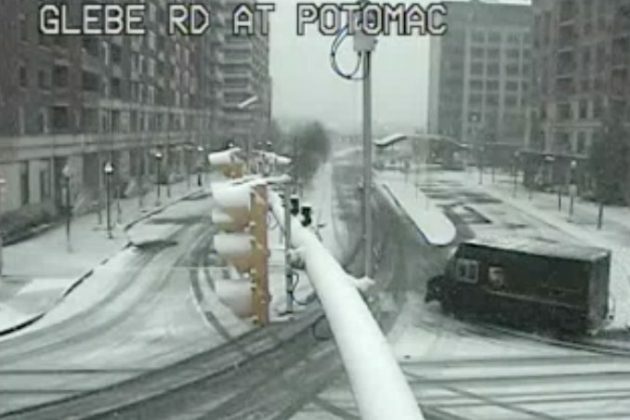 Update at 12:30 p.m. — The National Weather Service reports 3.3 inches of snow accumulation in Ballston as of about 12:20 p.m. 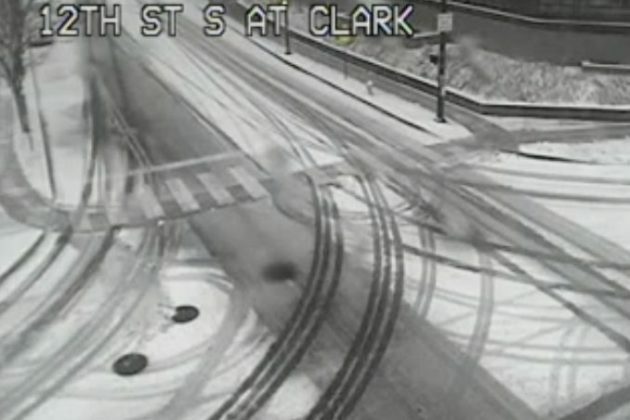 Earlier: It’s a winter wonderland out there, but most roads remain passable. Traffic is light around Arlington, with schools, the federal government and all county facilities like community centers closed. But with 2 inches of snow on the ground as of 8:30 a.m., no major crashes or problems have been reported on the county’s mostly snow-covered roads. Residential trash and recycling collection has been cancelled for the day and will resume Thursday, delayed by a day for the rest of the week. Metro is operating under its severe snow service plan for buses, and as is Arlington Transit. Metro trains are running every 12 minutes. 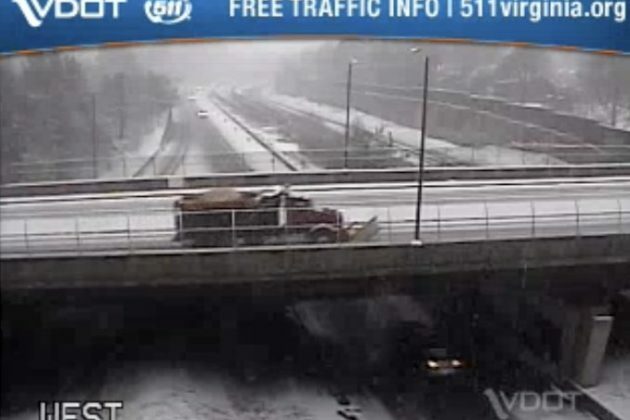 VDOT is still urging drivers to stay inside today, with snow changing to sleet, freezing rain and then just rain this afternoon. Update at 10 p.m. — Snow is falling across Arlington. The federal government is opening on a two hour delay, OPM announced. Arlington County government is currently planning to open on time. Earlier: A Winter Weather Advisory is in effect Sunday night and Monday morning, with a combination of snow, sleet and rain expected to fall overnight in Arlington. The Virginia Dept. of Transportation cautions that Monday morning’s commute may be challenging. (Updated at 8:15 a.m.) Arlington public schools are opening on a two-hour delay Wednesday, due to expected icy conditions. APS announced the delay Tuesday night “based on the current weather forecast and conditions,” leaving open the possibility that worse-than-expected road conditions Wednesday could prompt a cancellation. Fairfax County Public Schools announced earlier that its schools would be closed tomorrow. Wednesday morning, APS affirmed the two-hour delay decision. The federal government, meanwhile, will open on a three-hour delay. 1/30: Federal agencies in the DC area will OPEN with a 3-hour delay and have the option of allowing unscheduled leave/telework. Authorities are asking anyone driving overnight and in the morning to take extra precautions due to the likelihood of dropping temperatures turning wet roads into icy hazards. Around Arlington Wednesday, there were some reports of black ice, particularly on local roads. At least one significant crash was reported Tuesday night — a multi-vehicle wreck on I-395 near the Pentagon — but it’s unclear if weather was a factor. As if the deep freeze wasn’t bad enough, the National Weather Service issued a Wind Advisory Tuesday night. The National Weather Service in Baltimore MD/Washington has issued a Wind Advisory, which is in effect from 9 AM to 6 PM EST Wednesday. * TIMING…Mid-morning through late afternoon Wednesday. A Wind Advisory means that winds of 45 to 55 mph are expected. Winds this strong can make driving difficult, especially for high profile vehicles. 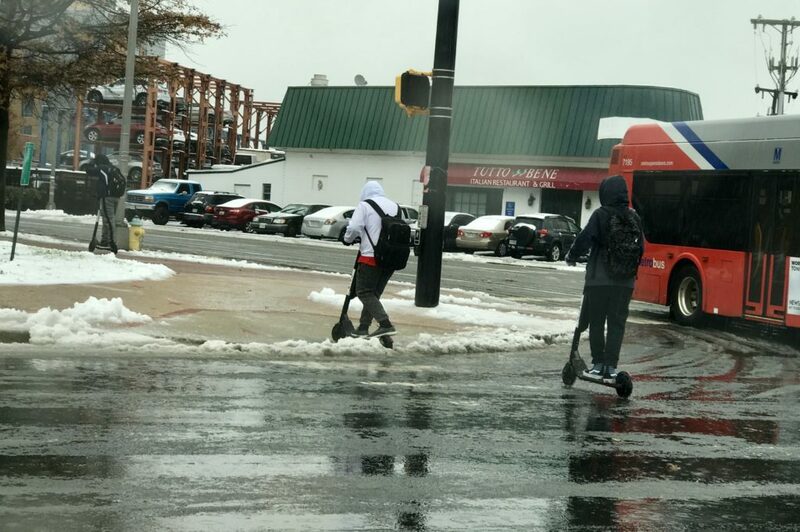 (Updated at 3:35 p.m) After a controversial on-time start that led to a treacherous morning on local roads and sidewalks, Arlington Public Schools is not taking any chances tonight. “Our drivers are instructed to drive slow and take all precautions when driving,” said Frank Bellavia. Following the morning mess, APS canceled all after school and evening activities. The school system announced the cancellations in a tweet just after 1:30 p.m.
Marymount University, meanwhile, is also closing early because of the weather. Due to inclement weather, Marymount University will close at 4:00 p.m. on Thursday November 15th. All classes after 3:30 p.m. are cancelled. All evening activities are also cancelled. While most of the frozen precipitation is over for Arlington, there are still a number of concerns for this evening, including remaining snow on local roads and a possible re-freeze overnight. 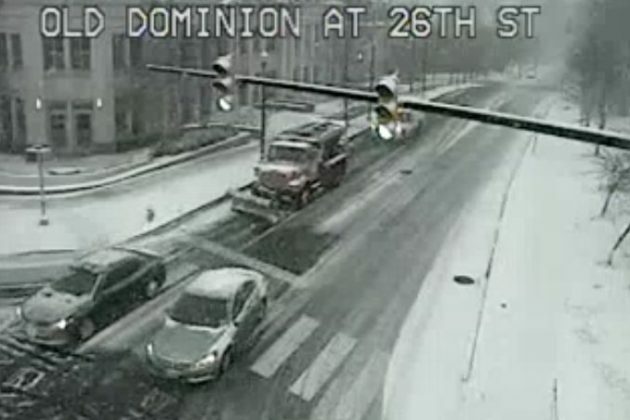 A mixed bag of precipitation is affecting much of the Commonwealth Thursday, and Virginia Department of Transportation (VDOT) crews are responding to adverse road conditions where needed. Snow, sleet, and heavy rain are expected across Virginia through the afternoon and overnight hours. Some portions of Virginia are experiencing the first taste of winter in the 2018-2019 season. 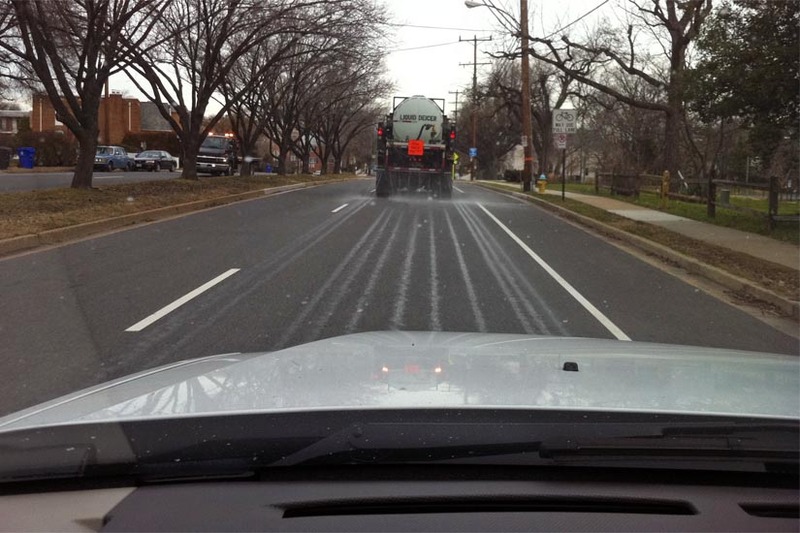 In affected regions, VDOT crews are deployed to treat roads to melt icy areas. Icy conditions could cause downed trees and debris in roadways. Travelers should exercise caution during the afternoon rush hour and overnight, as road conditions may be wet and slushy. Portions of the state are experiencing heavy rain. Crews are monitoring road conditions and responding to reports of high water and debris in roadways. Motorists are encouraged to closely monitor travel conditions in local areas and adjust travel as needed. In wet and icy conditions, allow extra time to reach destinations, lower speed and keep a safe distance from other vehicles. Another concern: the potential for flooding as a result of melting snow and heavy rain. Arlington and much of the rest of the region is currently under a Flood Watch. 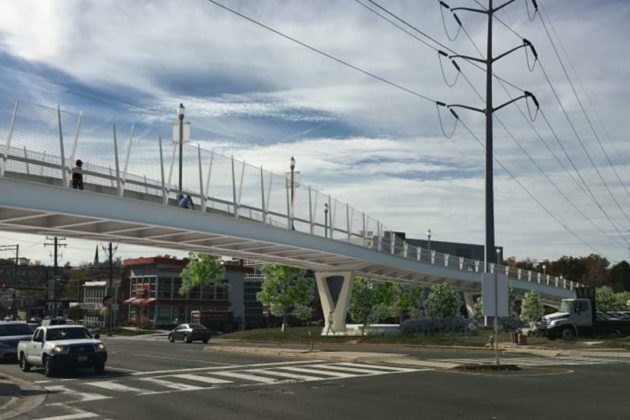 State transportation officials have firmed up their plans for a new bike and pedestrian bridge over Lee Highway in East Falls Church, putting the project on track for construction to kick off next spring. VDOT unveiled final designs for the planned Washington & Old Dominion Trail bridge at a community meeting last Thursday (Oct. 11), sketching out more details on the bridge that is designed to offer a safer alternative to the trail’s current crossing at the highway’s intersection with Fairfax Drive. The bridge’s design is largely unchanged from plans that VDOT showed off last summer. Some of the biggest changes include the removal of a barrier with streetlights running down the middle of the bridge and a change to the “piers” holding up the bridge — they now include open space in the middle of their “v” shape. 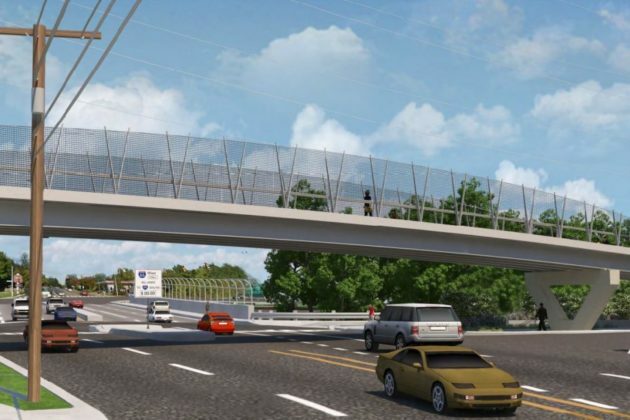 Officials initially proposed a design for the bridge that featured a trussed roof and red paint, yet some neighbors objected to those features, as well as the bridge’s potential to disrupt long-range plans for the area’s transportation networks. Planners ultimately changed the bridge’s color and removed the roof, and even agreed to tweak the lighting features on the bridge too. Instead of a barrier lined by street lights, the bridge will now include lighting underneath the v-shaped posts running along its sides. VDOT also detailed potential traffic disruptions prompted by the bridge’s construction at the meeting. Officials expect that there will be temporary closures on Lee Highway as the bridge’s beams and girders are put in place, and they expect that the fire lane on Fairfax Drive will be closed as construction continues. 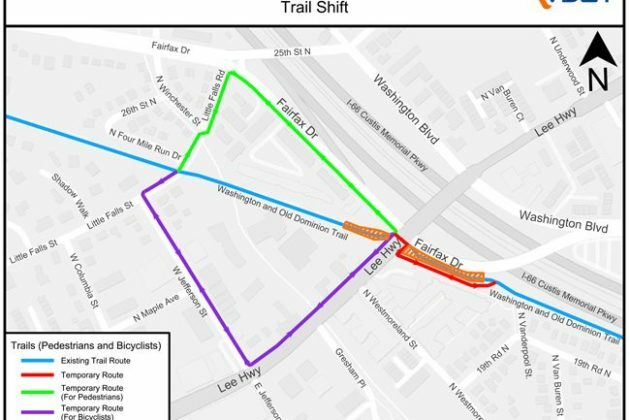 The W&OD Trail will also be realigned temporarily to allow for the construction, and could also see some temporary closures. Planners are tentatively hoping to begin work on the bridge early next year, then wrap it up by the fall of 2020. The work will also move in tandem with the I-66 eastbound widening project, which VDOT also hopes to complete in late 2020. 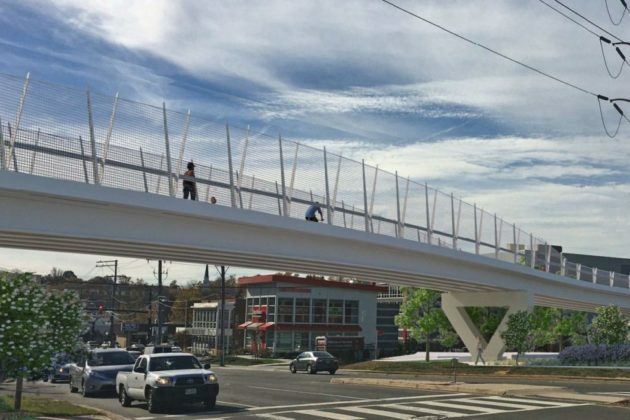 Transportation planners will soon unveil the final design of a new bike and pedestrian bridge stretching over Lee Highway in East Falls Church. 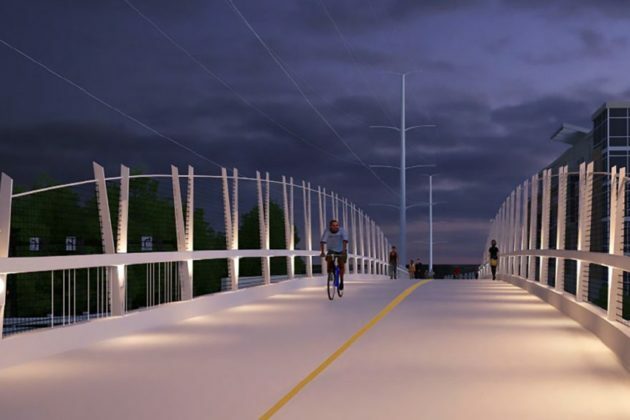 VDOT plans to show off the finalized schematics for the Washington & Old Dominion Trail bridge at a community meeting next month, capping off a design process that drew plenty of flak from neighbors last year. 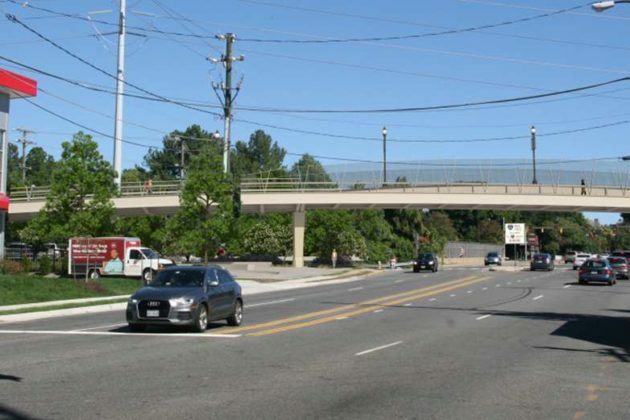 The new bridge, which is being built as part of widening work on I-66 eastbound in the area, is designed to replace the trail’s current crossing at the highway’s intersection with Fairfax Drive and offer a safer environment for walkers and cyclists. 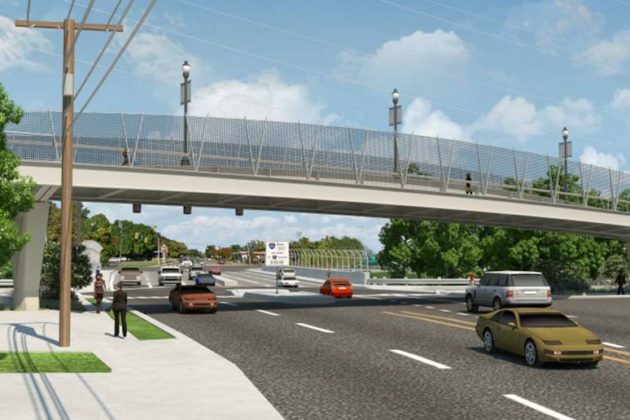 Officials had initially proposed a design for the bridge that featured a trussed roof and red paint, yet neighbors objected to those features, as well as the bridge’s potential to disrupt long-range plans for the area’s transportation networks. But VDOT has since tweaked its design to address the most controversial features, proposing a bridge that’s gray in color without a trussed roof, in a bid to address some of those concerns. Even still, some questions about noise walls and public art lingered during a meeting on the project last year. If all goes as planned, construction is set to start on the bridge by spring 2019 and run through fall 2020. 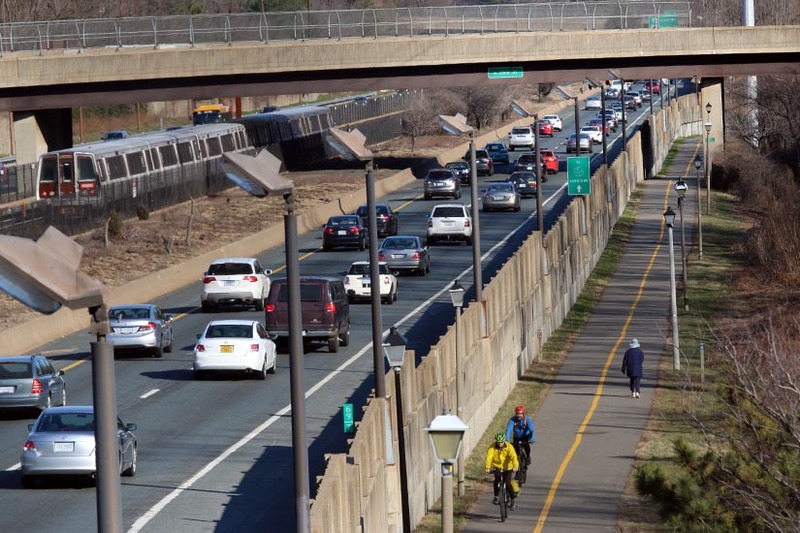 The Virginia Department of Transportation is looking to “developers, planners, futurists, big data lovers and problem solvers” to help address the state’s biggest transportation questions. Today (July 17) and tomorrow, participants in VDOT’s second SmarterRoads Hackathon and Idea Jam Series will gather at startup incubator 1776’s Crystal City campus. They will use VDOT’s open data sets and SmarterRoads portal to develop projects. Last year’s event, held in Virginia Beach, produced a mobile app capable of providing real-time traffic signal information and a system to optimize road pavement schedules, among other concepts. Winners receive cash prizes up to $1,000 and some successful entrants will have the opportunity to pitch their ideas at a future workshop. Virginia Secretary of Transportation Shannon Valentine will deliver a speech tomorrow afternoon, before the event wraps up with an awards ceremony at 4 p.m.
Construction around one of the Pentagon’s parking lots kicking off this week could produce some big headaches for drivers and bus riders alike. 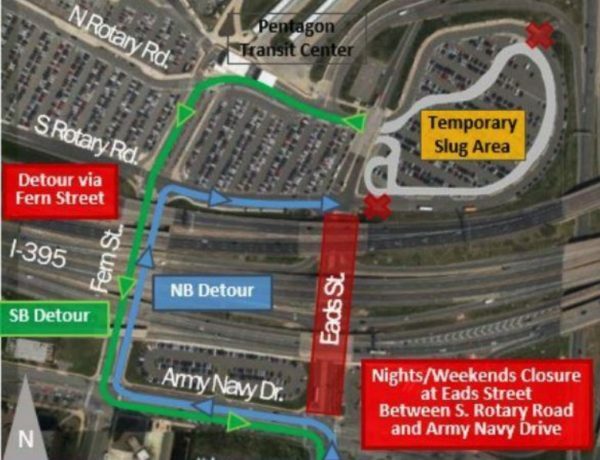 Starting this morning (Monday), work will shut down the west side of S. Eads Street from Army Navy Drive to where it nears the Pentagon’s south parking lot at S. Rotary Road. That will shift both northbound and southbound traffic to the east side of the street. In the mornings, from 6 a.m. to 9 a.m., that will cut off access to I-395’s northbound HOV lanes and Army Navy Drive from S. Rotary Road. Crews will post a detour and drivers should follow signs. In the same time period, access to northbound S. Eads Street from the right lane of S. Rotary Road will be reserved for anyone heading for I-395’s southbound HOV lanes. 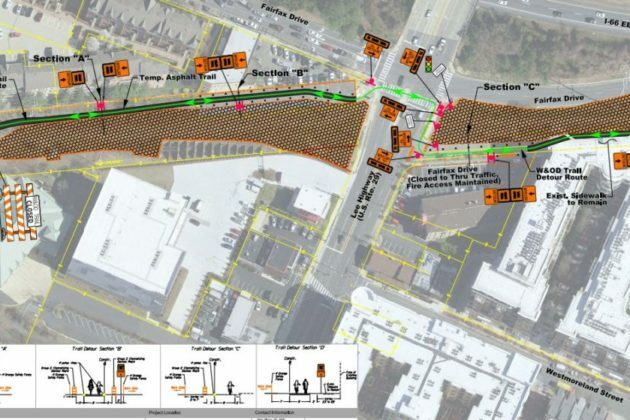 Construction will include “median reconfiguration, road widening, pavement and drainage work,” according to VDOT, prompting some major traffic snarls. VDOT is recommending that drivers looking to reach the I-395 HOV lanes during the construction to use the ramps near the Pentagon’s north parking lots at Boundary Channel Drive instead. Arlington Transit is also warning bus riders looking to reach the Pentagon to expect “significant delays for ART buses entering and exiting” the facility’s lots. ART plans to issue service advisories as needed. VDOT says work will shift to the east side of S. Eads Street sometime this fall, then last for an additional two months. The construction is included as part of the broader project focused on the I-395 express lanes.